US equity indexes closed moderately weak, sp -6pts at 2429. The two leaders - Trans/R2K, settled lower by -0.3% and -0.1% respectively. 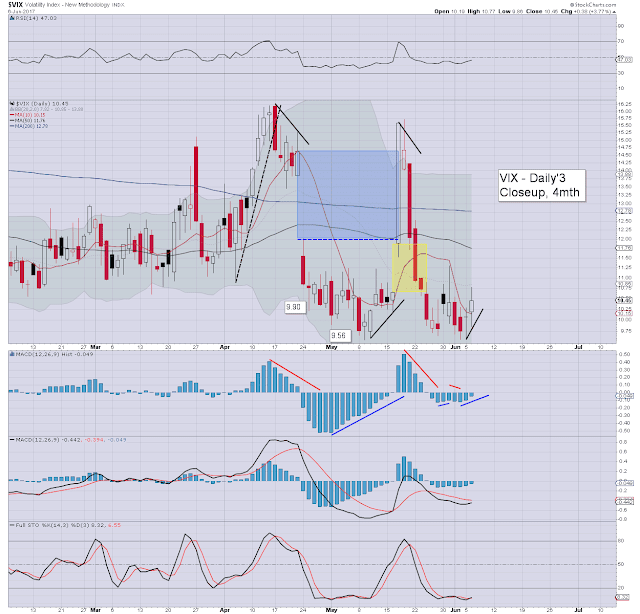 VIX settled +3.8% at 10.45. Near term outlook offers further weakness to the sp'2410s, the 2400 threshold should hold, even if the UK election result is an upset. 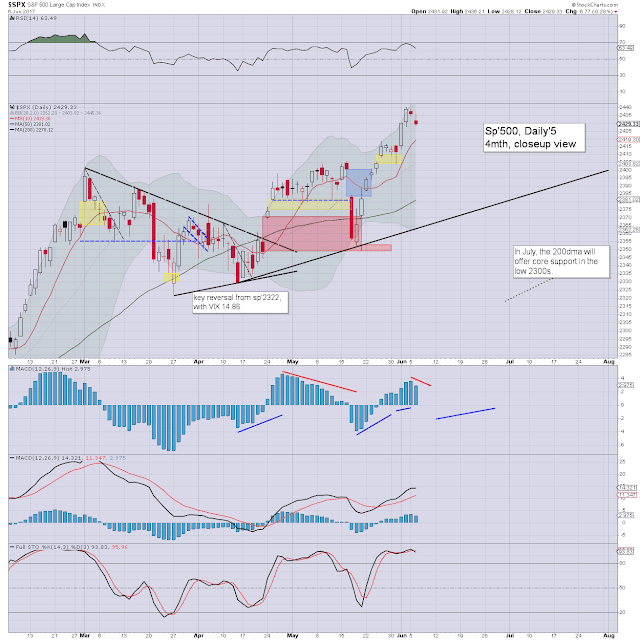 It was a day of moderate swings, but with the market leaning on the weaker side. 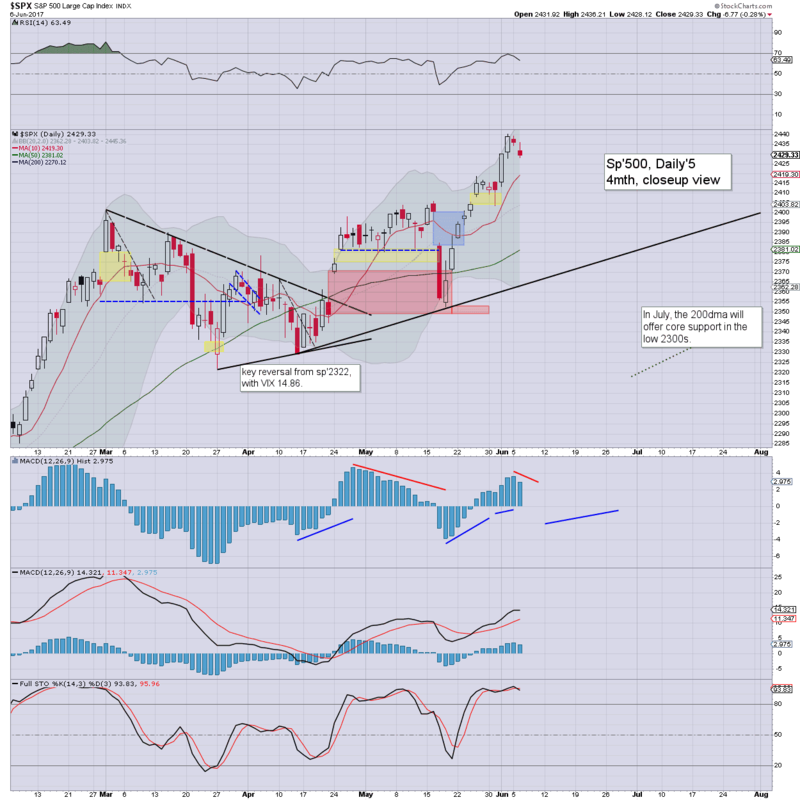 The sp'2410s seem very probable. Any sustained price action under the 2400 threshold looks very unlikely. 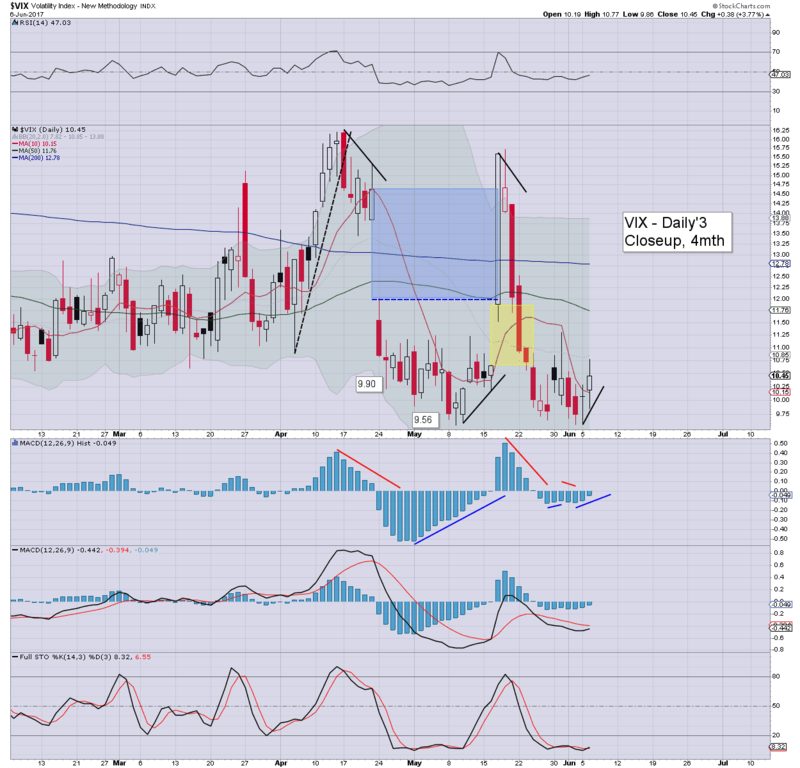 Market volatility remains subdued, with the VIX still broadly stuck in the 10/9s. The 11/12s seem probable later this week. For those in the USA, this Thursday, there will be a UK general election, where all 650 districts vote for their representative. 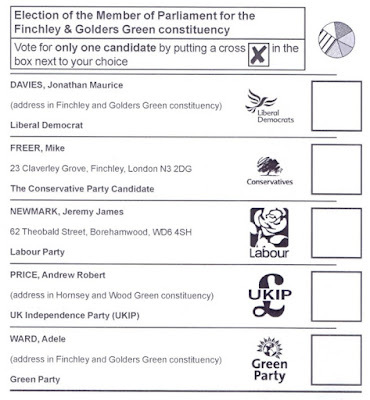 There is no direct public vote for the prime minister. Each party will select (via various internal systems) their leader. The party with a majority gets their leader to be the Prime Minister. It remains notable that unlike the US President, the UK leader has little executive power, aside from security/defence matters. I have always found it truly ironic that the US Presidency - in many ways, is effectively a Kingship system. So... what are my choices this Thursday? Liberal Democrats, a weak blended version of conservative and labour. No vision of anything. Conservative Party, currently lead by May, a woman who doesn't believe in the right to privacy. Indeed, just this past Sunday morning, what was the theme she decided to run with? Ohh yeah, blame the internet for another terrorist attack. She even used one of the social justice warrior phrases of terrorists having a 'safe space'. I've no doubt that if May had her way, there would be a camera and microphone in every single room in every UK household. Of course, there would be exceptions to such surveillance for members of the political class. We're well on the way towards that dystopia. 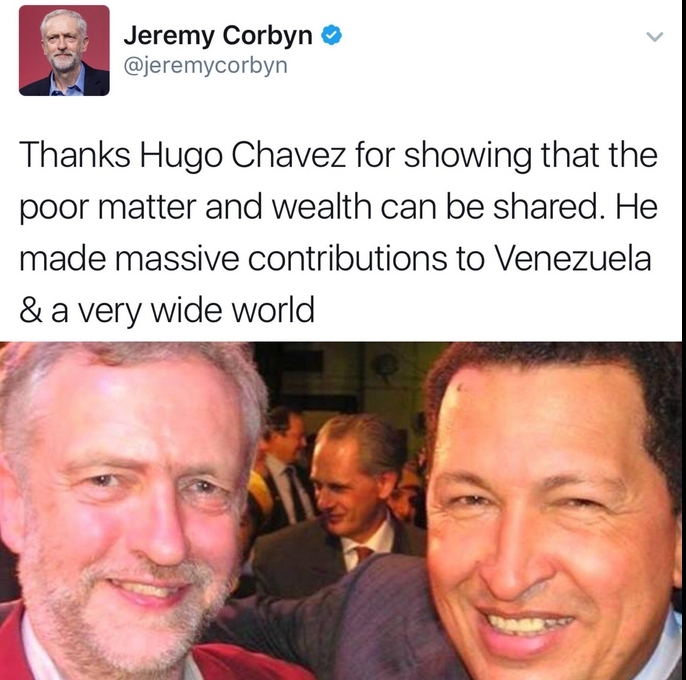 Labour Party: lead by Jeremy Corbyn, a man who continues to tout the virtue and success of Hugo Chavez of Venezuela. Do I really need to get into that? Should I focus on the starving people, the decaying oil/gas infrastructure, or just the hyperinflation? UKIP: a one issue party, which would like the UK to be a whites only nation. They sure won't say it, but that is what their party is largely about. 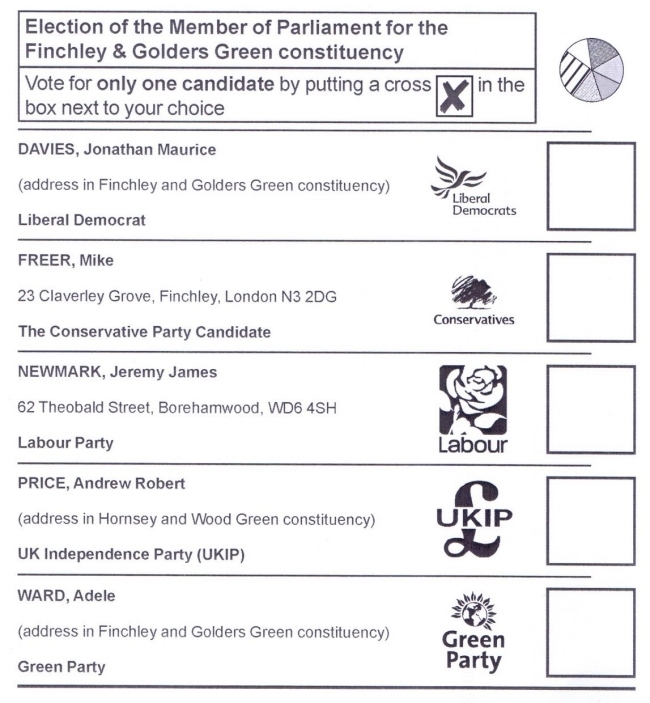 Green Party: another one issue party, vehemently against anything related to 'free market capitalism'. If they had their way, they'd close the capital markets. No doubt, they'd also likely tout Venezuela as a system to aim for. So, which of those five do I choose? For the record, I shall hope for a hung parliament - where no one party has an outright majority. If the ruling conservative party majority is negated, its very possible May will resign in disgrace this Friday. After all, it was her decision to call an election, three years ahead of what was required. I expect to see a great deal of bitching and infighting between the parties, especially on the matter of BREXIT negotiations with the European Parliament. The British people deserve nothing more... nothing less.